Description: Totally Tiffany EZ2O Easy 2 Organize Storage System Buddy Bag Shelly- Stuck on Washi Tape? Wrapped up in Micro Ribbon? This cool little buddy bag will corral all of those things that are "rolling" around your desk. 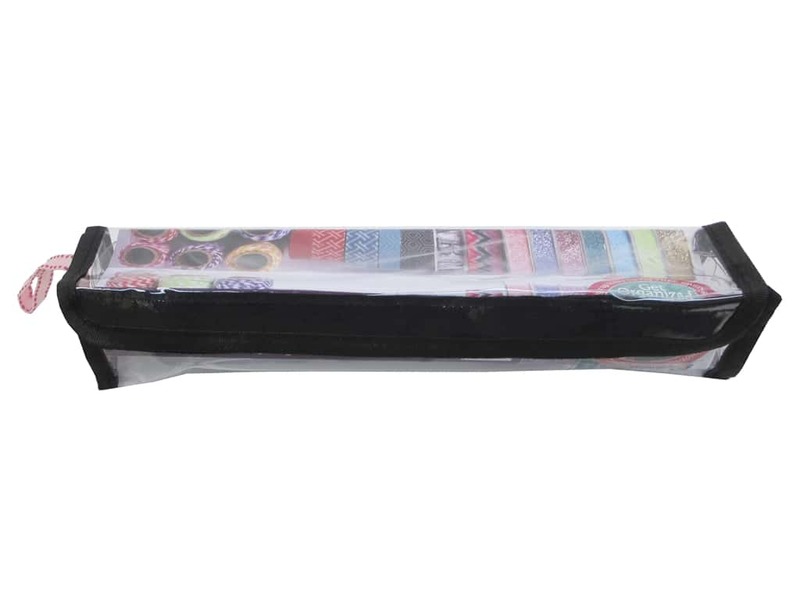 Soft Clear plastic organizer bag has a hook and loop closure on flap, Black stitched binding edges, and a ribbon carrying strap. Measures approximately 11.5 in. x 2 in. x 2 in. Totally Tiffany Easy 2 Organize Buddy Bag Shelly -- CreateForLess 5.00 out of 5 based on 1 ratings. 1 user reviews. My washi tape looks so neat and organized!